1. What are the dimensions of each cubbie hole? 2. Are these organizers, or something substantially similar, for sale on the open market to the general public? Hello, I sell custom made tie boxes in all different sizes and colors at www.familywoodcraft.etsy.com. You can even request a custom design to fit your needs. Where can I buy this tie cubbie? It was custom built. You could try organize.com or The Container Store for off the shelf products. Maybe this is a stupid question, but how are they placed in the little cubbies. Are they folded up and put in like if they were in a drawer divider? Yes, they are rolled up like they would be in a drawer divider. What a great idea!!!! How can i order it? - This is exactly what i have been looking for. Can i order it from somewhere? Could it be delivered to Greece? How many ties can it store and how much would that cost? Thank you in advance! How do you delete a photo.????? Figure out what you'd like to showcase and what you'd like to hide. 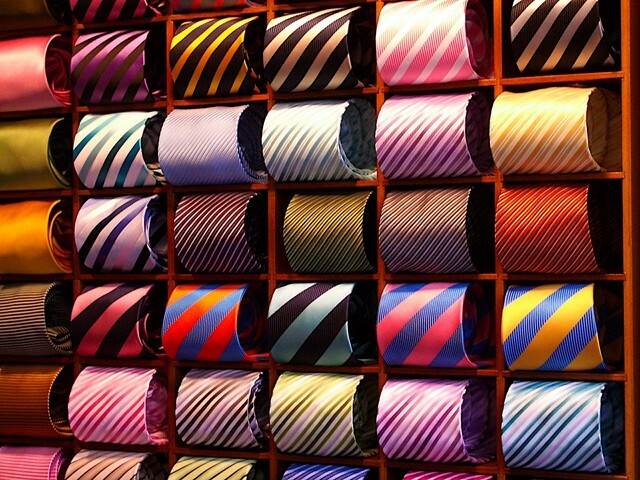 If you've got a stellar tie collection and wear them often, give them pride of place in the closet. Great display, now how do I purchase one or two? Is rolling & storage in horizontal or vertical compartments better than hanging?